To view this video, visit https://www.youtube.com/watch?v=zZybtW7MyDM. When you want to learn a little, ask a little question. When you want to learn a lot, ask a big one. 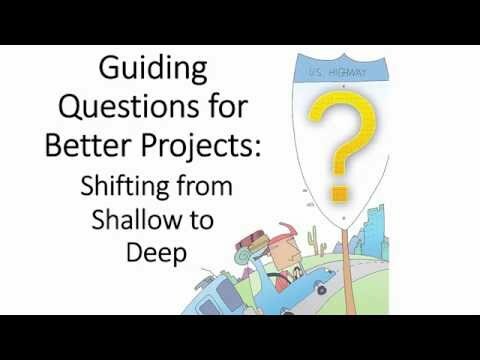 Watch this video to learn how to shift from little questions to big ones. Answer as many of your questions as you can. Which questions require the biggest answers? Asking Bigger and Better Questions by Thoughtful Learning is licensed under a Creative Commons Attribution-NonCommercial-ShareAlike 4.0 International License. Based on a work at k12.thoughtfullearning.com/minilesson/asking-bigger-and-better-questions.